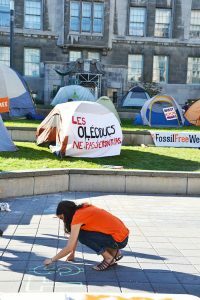 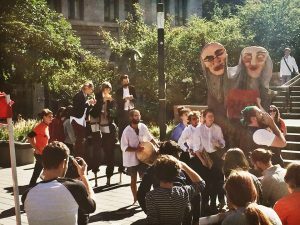 Divest McGill was born out of a move by students who had been active in the 2012 Quebec Student Strikes to decorporatize McGill. 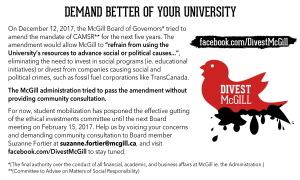 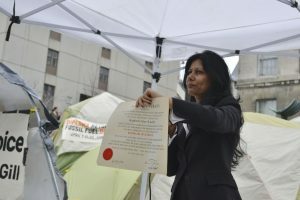 In May 2013, two petitions were presented to the McGill Committee to Advise on Matters of Social Responsibility (CAMSR) – one against fossil fuels, and the other against the disastrous Plan Nord project. 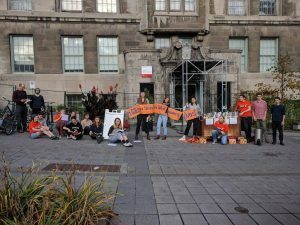 Divest McGill has complied many extensive reports, inspired similar Divest projects around Canada, and continues to work to hold McGill accountable for their investment in fossil fuels and other harmful industries.